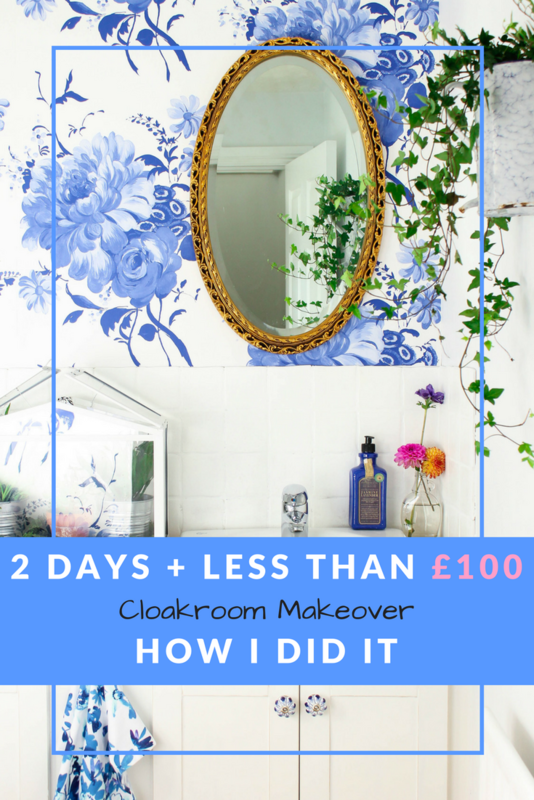 HOW I DID A £100 CLOAKROOM MAKEOVER… AND IN 2 DAYS! You know when you have a room in your home that really bothers you? 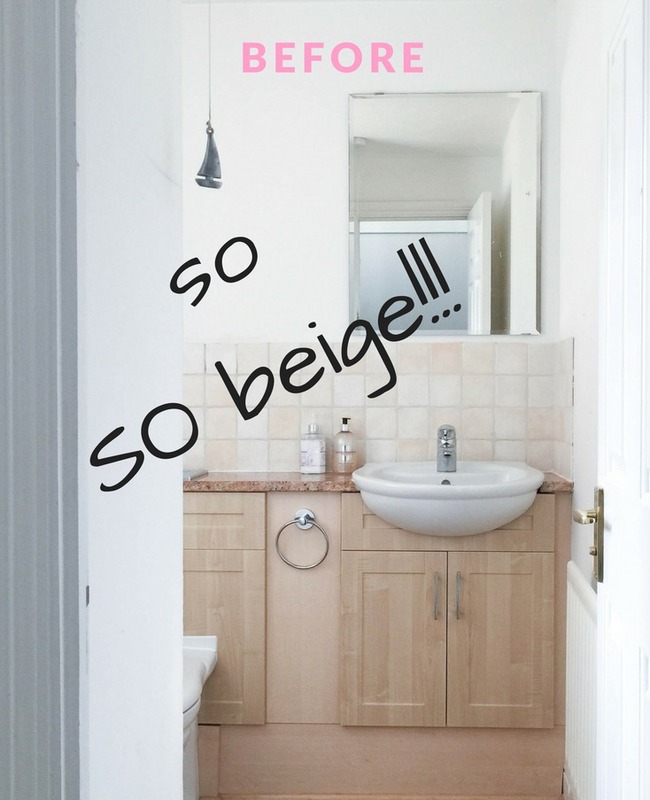 When we first moved into this house, I knew that I would have to live with the beige and boring cloakroom for a while (until we could afford to redo it). 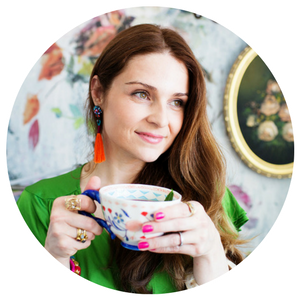 But when we finished redecorating the other rooms downstairs, I just couldn’t bare to look at the sad little space anymore… it was like it was killing the colourful and vibrant vibe I had created for the other spaces… it just wasn’t flowing! So I decided it was time to take action and have a mini and HAPPY makeover! First I decided on the budget (£100). Then I did a little research and gathered some inspiration images (I already knew how I wanted the space to feel and the style I wanted to go for). Then I prioritised where I should invest and where I should compromise (I invested on the wallpaper as it creates a big impact and compromised on the other items). Before I painted the tiles and cupboard, I gave it a good clean with Sugar Soap (for the paint to stick properly). Then I used chalk paint, that is super easy to apply and doesn’t require any priming. To finish it off and keep it hardwearing, I applied two coats of chalk paint Lacquer. 1. 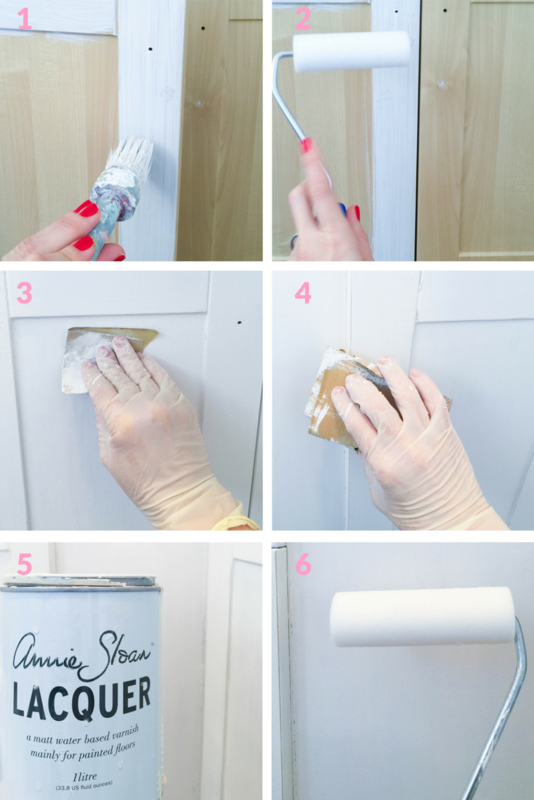 Applying white chalk paint in the same direction as the wood grain. 2. Smoothing out the paint with a foam roller (for a smoother finish) 3. Sanding with a fine grit sanding paper between coats (for a smoother finish) 4. Distressing the edges with a medium grit sanding block 5 & 6. applying the lacquer with a form roller. 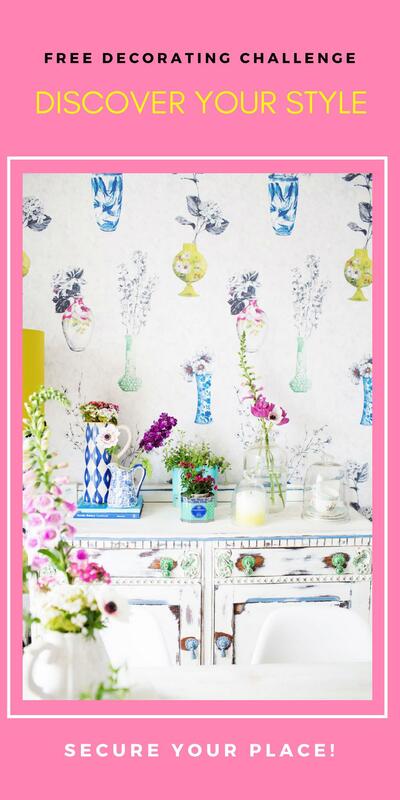 Wallpaper from Designers Guild £59. Chalk paint from Rustoleum £12.99 (I usually use Annie Sloan Chalk paint, but as my white one had finished and I was on a budget I went for this one and it worked just fine). I’m so happy how it turned out … small changes can make a huge difference when designing your space. So don’t be put off by a small budget… just be smart with it and say bye bye to that room that doesn’t make you happy! And if you would like some help on how to make the most of your budget, check it out this blog post where I have put together a free budget workbook and budget tracker to help you getting a clear idea on where your money will go and how you can make it stretch out, so you can achieve the decor you have in mind!!! Are you doing a makeover too? You can share with me your makeover using the tag #designedbyablueberry… I would LOVE to see it!!! « HOW TO MAKE A HEADBOARD… THE SUPER EASY WAY! Amazing! 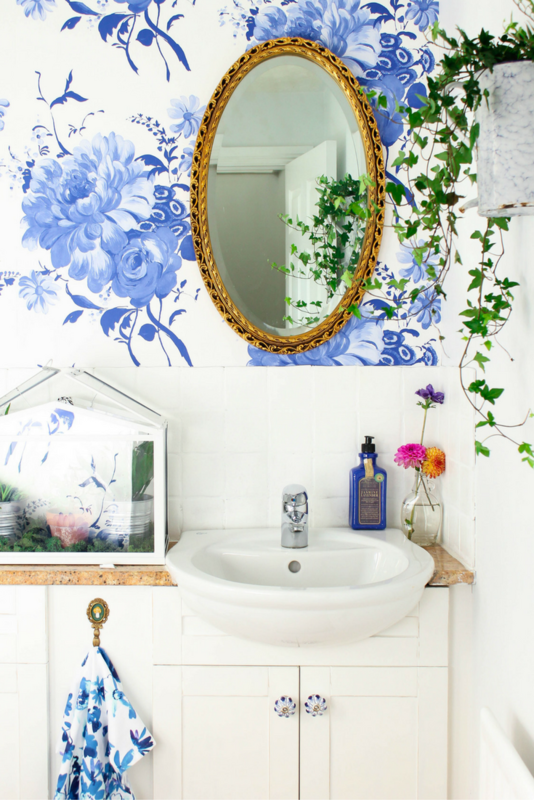 I had no idea you could paint tile with chalk paint!It looks wonderful! Thanks so much Sarah! I didn’t know too! And it really works, as it’s been almost a year since I painted them and still looking good, not one scratch!!! Yay!!! Well, it certainly suits your beautiful and cheerful home better now! That wallpaper is a knock-out! Just gorgeous!